Northwest Christian High School cross country coach Mike Michael is one of the last to arrive at the Saint Martin’s University track, electing to go with his bike as his morning mode of transportation. Waiting for his arrival are 15 Navigators, each with their running shoes laced up and smiles on their faces. 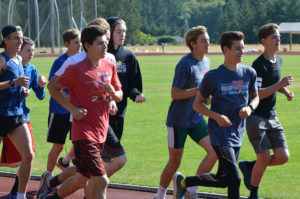 It’s the heart of summer vacation for high school students, most of which aren’t found outside ready for a 9:00 a.m. run. But that’s not the case for this group, who are choosing to trade in some relaxation for perspiration. No, it’s not, but if you’re looking for a reason why they are all there, Ava Shackell – the only incoming senior on the girls’ squad – has a shirt that perfectly sums up the team’s outlook. 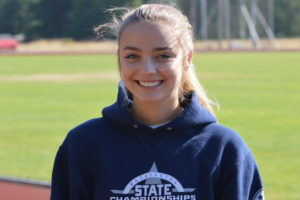 The start of the high school cross country season is still some two months away, but Shackell and her teammates know it is now, not September or October, when races are won. And Northwest Christian has plenty of hardware to back his statement up as the Navigators’ gymnasium is covered with state championship banners for both programs, and if you cruise through the trophy case you’ll even find a national championship. So it’s safe to say they know what they’re doing. 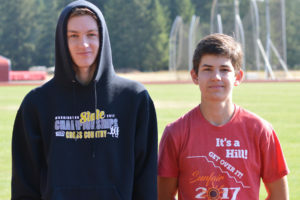 The summer running program isn’t just limited to Northwest Christian cross country members. The team runs five days a week from 9:00 a.m. until 10:30 a.m. with Fridays and Sundays off. The program ends August 1 to accommodate the statewide high school coaching blackout, which prevents coaches from working with their athletes until the first fall practice. The hope is all the work will lead to more state titles for Northwest Christian – something that has turned almost into an embarrassment of riches for the Navigators. The boys’ team wrapped up their fourth consecutive Class 1B/2B state championship last season, while the girls’ squad, which won a remarkable nine straight state titles between 2006 and 2014, finished as state runner-up for a second straight season. But out here, in July, no one speaks about state titles. Regardless of whether it’s discussed or not, every Navigator cross country runner knows it all starts here. 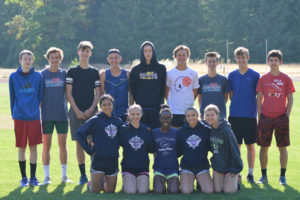 The Northwest Christian boys’ team returns all seven of its 2017 state meet participants this year, including senior Carson Buster and juniors Garrett McSheffrey and Noah Phillips, who finished ninth and 11th, respectively, at state. 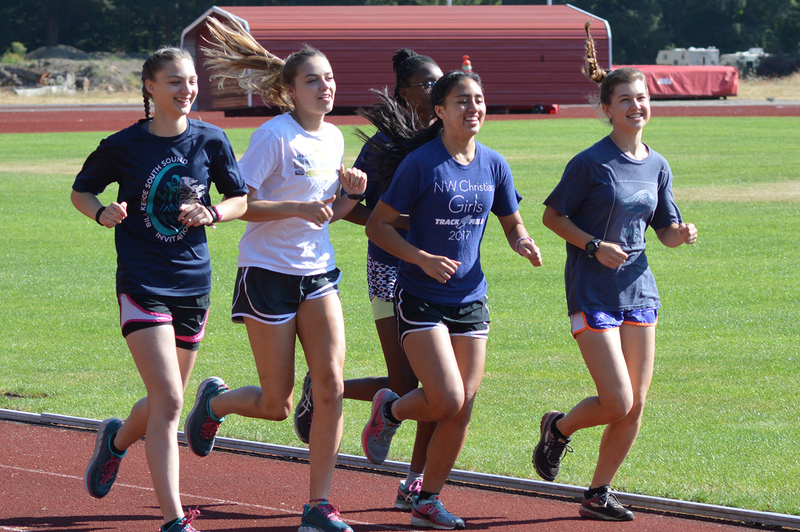 The Navigator girls welcome back plenty of talent as well, including juniors Tosin Faleke, Nina Fraser, and Jacalyn Tague – a trio of gifted runners who all joined Shackell at the state meet last year.